Carol Einiger is President of Post Rock Advisors, LLC, a private investment advisory firm based in New York. She founded Post Rock Advisors after serving from 1996 to 2005 as Chief Investment Officer of The Rockefeller University. Ms. Einiger began her investment career at Goldman Sachs in 1971. She worked from 1973 to 1988 at The First Boston Corporation, becoming a Managing Director and Head of the Capital Markets Department, and from 1989 to 1992 at Wasserstein Perella & Co. as a Managing Director. From 1992 to 1996, Ms. Einiger served as Chief Financial Officer and then Acting President of the Edna McConnell Clark Foundation, before joining Rockefeller University. Ms. Einiger received her BA from the University of Pennsylvania in 1970 and her MBA with honors from Columbia Business School in 1973. She is a Director of Boston Properties, Inc., a Trustee and member of the Investment Committee of UJA-Federation of New York and a member of the Board of Overseers of Columbia Business School. 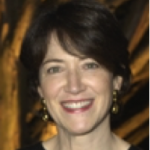 She previously served on the Boards of Trustees and Investment Committees of the University of Pennsylvania, the Lasker Foundation and the Horace Mann School; as Vice Chair of the Investment Committee of The Museum of Modern Art; as a Director of Credit Suisse First Boston (USA) and on the Advisory Board of Blackstone Alternative Asset Management L.P.